Female empowerment is something the world can’t have enough of, as far as we’re concerned, and we’re always stoked to find it in the unlikeliest of places. 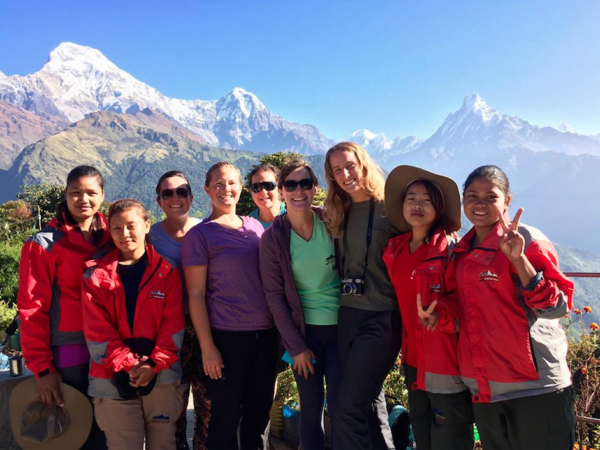 The Himalayas is the location where one group of pioneer women are seeking to help others in surrounding communities of Nepal, through their mountain guide company. The 3Sisters Adventure Trekking is a women-owned company, run and founded by 3 sisters, who are disrupting this male-dominated adventure career path and bringing some much-needed female empowerment with them along the way. 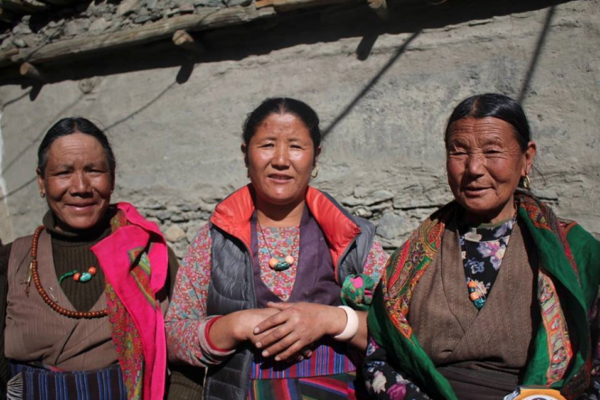 Lucky, Nicky and Dicky Chhetri founded the company a decade ago and have since managed to train more than 700 women to become guides and porters for the world-renowned mountain trek. The sisters have also created a way to help women escape a cycle of poverty, giving them a type of financial and social independence that may not have previously been available due to a lack of gender equality in Nepal. Along with a means to financially support themselves, the women who work for 3Sisters receive education, training, English classes, and leadership skills which become valuable assets in a culture where opportunities to obtain them do not exist in abundance. And now their story and work is becoming the subject of a forthcoming documentary by American pro snowboarder Halina Boyd. Halina hails from Jackson Hole, Wyoming, and first encountered the 3Sisters company on a trip to the Himalayas. In an interview with Tetongravity.com, the athlete says she had been dreaming of snowboarding in the Himalayas since she was a young girl after reading two books titled ‘Into Thin Air’ and ‘Surfing the Himalayas’. She says she had also wanted to find a way to inspire other people, and learning about 3Sisters became her way of doing this. “‘BĀṬŌ’…is a story exploring the women’s empowerment movement of Nepal, in its first generation of professional female mountain guides. 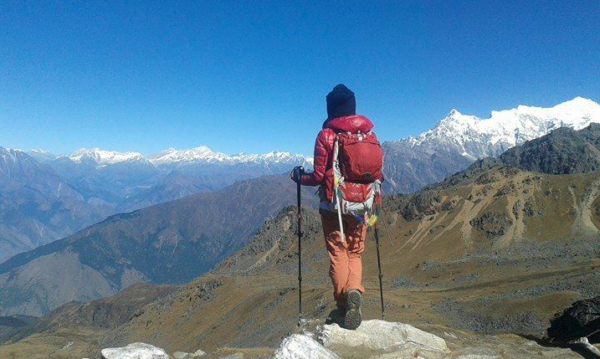 3Sister Adventure Trekking is on a mission to empower the women of Nepal. They will guide Halina into the mountains to fulfill her dream to snowboard in the Himalaya. We will explore how the Himalaya have shaped the Nepali people and how cultural shifts are changing the face of Nepal,” continues the Indiegogo description. Halina says she wants to portray the intricate intersection of culture, gender, and environmentalism in her documentary, while promoting the breakthrough work of these first generation pioneer female mountain guides. “Social norms and gender ideology restrict women’s mobility. Making it difficult to access services, education and work opportunities. Further increasing health problems, poverty, vulnerability to violence, and conflicts. The Three Sisters Guiding Company is a breakthrough in solving these inequalities for women in Nepal through their guiding agency and their NGO, Empowering Women of Nepal (EWN),” she explains in her campaign. According to Teton Gravity, up to 12,000 women are trafficked in Nepal every year, and the majority of them are unde the age of 18. With only 8% literacy rate among women in rural mountain areas (compared to 41% of men) and 55% in urban areas (compared to 80% among men in the same area), women are disproportionately vulnerable to violence and poverty. However, the right support system can make all the difference. The Chhetri sisters were lucky enough to have this kind of experience, as Sarah Steinward from Teton Gravity explains. “The Chhetri sisters’ father gave them the freedom to choose what do with their lives and he taught them to care for the poor. They wanted to do something to help the women of their country suffering from gross inequality and carrying the weight of the caste system. 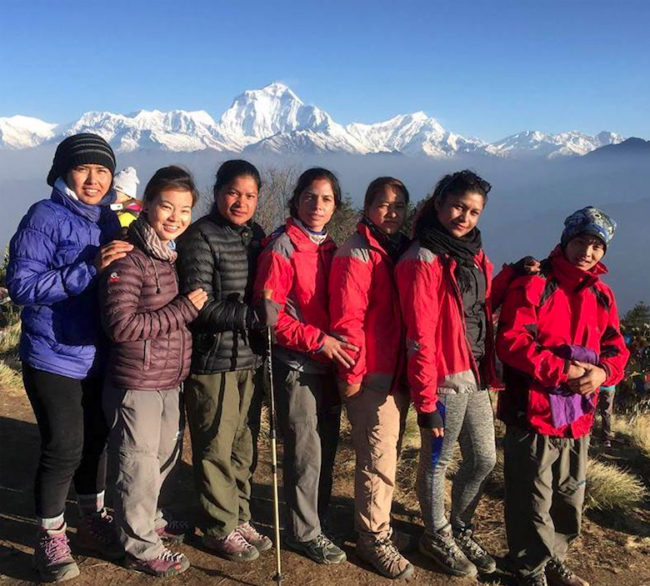 They love the mountains, and that is why they decided to train their Nepalese sisters to become guides,” she wrote. Despite efforts from the Government and various non-profit organizations to help women and tackle gender inequality, there are still a number of barriers that remain. A drastic cultural shift is needed, and these kinds of changes are often helped by visual representations – society being able to physically see what change looks like. The women of 3Sisters are certainly showing women and girls in Nepal what is possible in the mountaineering industry. Halina hopes her documentary can help inspire more people, in Nepal and beyond, by sharing the Chhetri sisters’ story. “I hope ‘Bato’ will inspire the women of the world to pursue their dreams and help them realize that anything is possible…This is film for the people of Nepal, to show them what incredible work they are doing and how inspired we are by them,” she said. You can see more about her documentary project and the Indiegogo campaign in the video below.